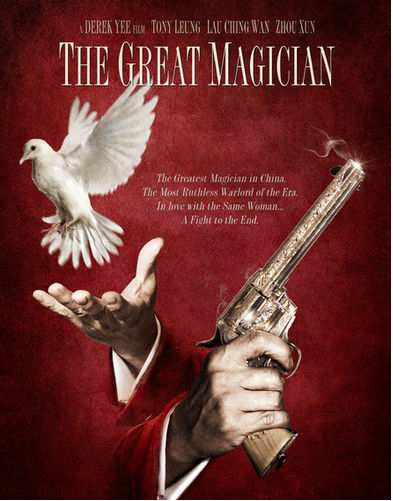 Hong Kong director Derek Yee spun gold last week with his new film The Great Magician, which knocked The Flowers of War out of the top spot and led the Chinese box office with $11.5 million. For Yee, a writer-director- actor-producer who is perhaps best known for producing the hit Hong Kong crime dramas Overheard (2009) and Overheard 2 (2011), The Great Magician was something of a departure. It is the first comedy he has directed in over 20 years, and also one of the few films he has made on the Chinese mainland. SARFT censors required him to make numerous changes to the film before they would allow its production and release. Second place was also claimed by a new market entrant, the fourth installment of the popular Pleasant Goat and Big Big Wolf children’s animation franchise, which took in $11.3 million. Based on a long-running Chinese children’s TV series, the Pleasant Wolf franchise is the only home-grown animated property that has managed to generate consistent, repeated success at the box office. Taiwanese romance You Are the Apple of My Eye maintained its 3rd place rank with $5.6 million, for a $9.9 million cumulative gross. Already this year’s Taiwanese films have exceeded the total gross for all of 2011’s Taiwanese releases in China. Quite a change from the days not so long ago in the PRC when mere possession of a cultural artifact from Taiwan could be construed as a political crime punishable by imprisonment. Flowers of War and Flying Swords of Dragon Gate fell to 4th and 5th place, with respective weekly revenues of $4.5 million and $4.3 million. Flowers has now reached a $93 million total gross, but doesn’t have enough steam left to challenge Let the Bullets Fly as the all-time Chinese language box office champ. And unless it achieves the unlikely feat of grossing at least $100 million outside of China, it will fall well short of financial breakeven. Flowers of War had a rough week in awards competitions: It lost out to the far superior Iranian film A Separation for the Golden Globes’ best foreign language film awards, and it failed to make the cut for the Academy Awards foreign language shortlist of nine films. For several years in a row the Chinese have tried to win over the Academy with big, crowd-pleasing melodramas. Perhaps they’ll learn their lesson next year and submit a movie that might actually have a prayer of winning. It must be particularly galling to the Chinese that a Taiwanese film, Warriors of the Rainbow: Seediq Bale, did make the shortlist. American entry Sherlock Holmes: Game of Shadows, grossed a decent $2.9 million in its first day of release in Chinese theaters. If it performs as well in China as it has elsewhere, it should wind up with at least $15-18 million in total receipts there. Independent distributor Bona Film Group had a rare indie trifecta with the number one, number two and number five films for the week. Aggregate box office for the frame was 59 percent higher than the same period last year. With Enlight’s next installment of its hit All’s Well Ends Well franchise opening this weekend (last year’s sequel wound up with nearly $25 million) and with Mission Impossible: Ghost Protocol arriving on the 28th, January is shaping up as a very big movie month overall. Robert Cain is a producer and entertainment industry consultant who has been doing business in China since 1987. He can be reached at rob@pacificbridgepics.com and www.pacificbridgepics.com. This entry was posted in Box Office Reports and tagged All's Well Ends Well, Bona Film Group, China box office, Chinese box office, Derek Yee, Enlight, Golden Globes, Overhear, Pleasant Goat and Big Big Wolf, Rob Cain, Robert D. Cain, The Great Magician, Warriors of the Rainbow: Seediq Bale by chinafilmbiz. Bookmark the permalink. Would like to wish Rob and all others a great and Happy Chinese New Year 2012. Currently under construction for a March 1st launch. The site will have both English and Chinese pages for the Chinese and Global film and entertainment industry with limited but high regard personal feature stories and news. If you have a production, service or factual industry big news coming up this year please contact me at masterbrand_films@hotmail.com and we’ll see what we can do to get your news out there.